The organisation and scheduling of resources has historically been one of the most complex problems in the transport industry, due to the requirement for a high level of manual input, the many variables involved and the variability in planning conditions. 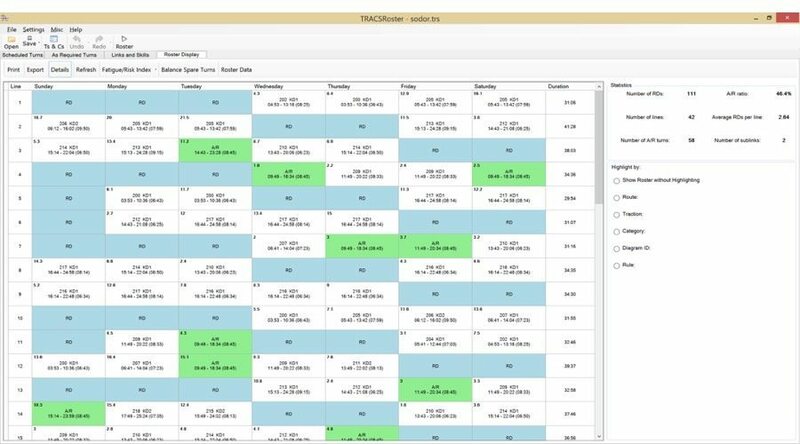 Tracsis’ specialist TRACS scheduling software packages provide a solution to these problems, covering both fleet and crew resource planning, optimisation and rostering. Benefits of adopting the TRACS suite include substantial time savings with resource plans created in minutes not weeks, and increased efficiency of shifts and rosters, saving on operating costs. 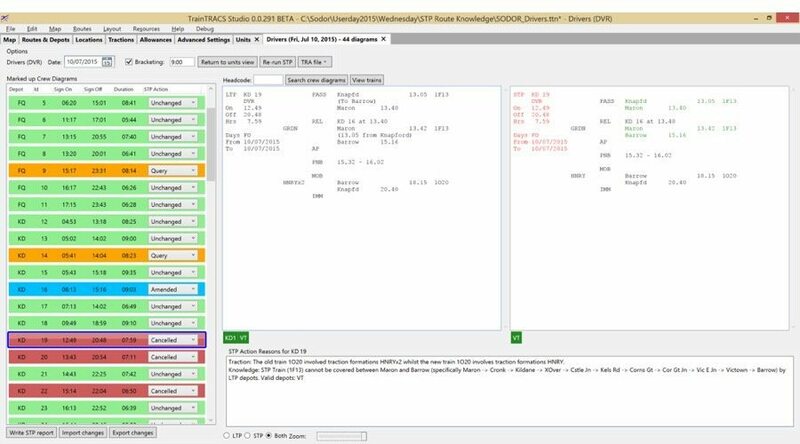 TrainTRACS/BusTRACS is production-standard software for driver and crew scheduling. Optimal crew shifts are created with functionality including a very flexible rule editor, ability to cope with multiple depots and complex geography and both Long Term and Short Term planning modes. TrainTRACS is used in-house by most UK Train Operating Companies operating passenger services on the UK railway network and by several large bus operators. It can also be used as a consultancy or option development tool. TRACSRoster is a fully automated base roster optimiser which creates an efficient base roster taking into account all rostering rules and shifts. TRACSRoster supports TrainTRACS by crystallising the efficiency savings of optimised shifts into a roster pattern whilst also creating efficiency savings in its own right. Functionality includes forecasting and assisting in minimising overtime and rest day working with optimal placement of spare turns. TRACSRoster has been successfully adopted by over 10 Train Operating Companies. 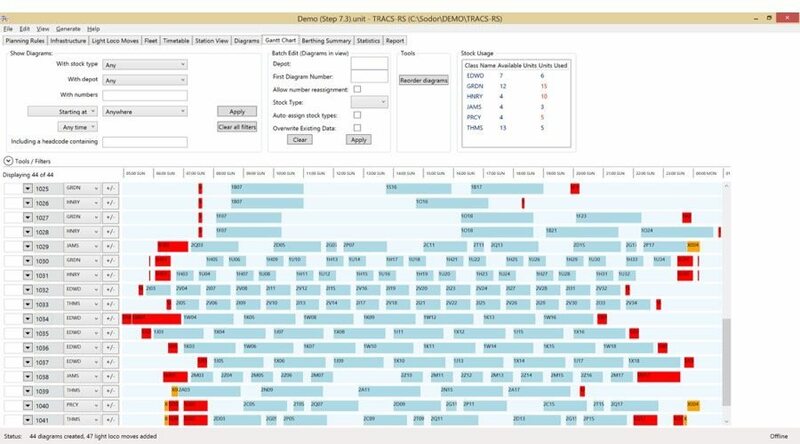 TRACS-RS is a sophisticated rolling stock diagram editor and reporting tool with supporting automation of processes. Automated and customisable reporting, saving time in analysis. 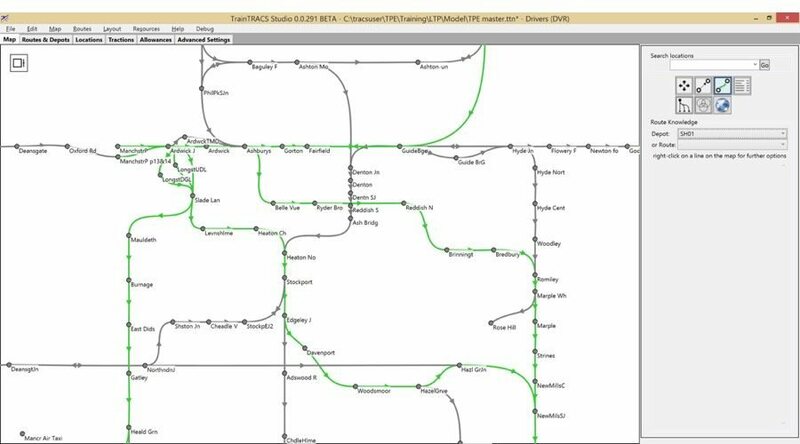 TRACS-RS is specifically designed for planning rail operations, incorporating features such as splitting and joining of multiple units and reversals based on a detailed planning geography.